Perfect for all In the Night Garden fans, this talking plush soft toy includes familiar song and sounds from the popular CBeebies show. 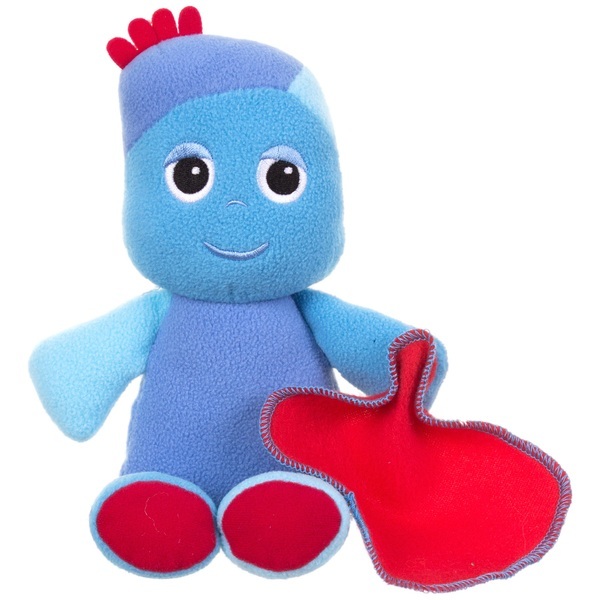 The Igglepiggle Talking Soft Toy is made from soft textured fabrics making him super huggable! Igglepiggle has embroidered facial detail and carries his iconic red blankie. Have hours of fun with the In the Night Garden Igglepiggle Talking Soft Toy. Perfect for all In the Night Garden fans, this talking plush soft toy includes familiar song and sounds from the popular CBeebies show. The Igglepiggle Talking Soft Toy is made from soft textured fabrics making him super huggable! Igglepiggle has embroidered facial detail and carries his iconic red blankie. Suitable from birth.